« How are YOU leading with your strengths? 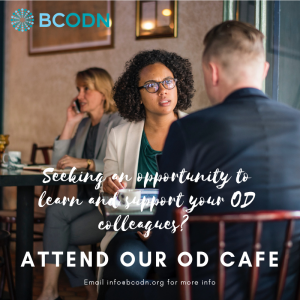 OD practitioners or those interested in OD are invited to a monthly gathering around the big table at the Urban Fare where we can support, network with, and learn from each other. By using a variety of liberating structures, we plan to engage each other in a conversation around our work, challenges, and ideas. Different conversation topics may be suggested, different people may offer to facilitate a session, and participation will be voluntary. It is hoped that this can be a relaxing and fun time. Dress code is casual. OD practitioners at all levels and seeking an opportunity to learn from and support each other. Free, although we request that coffee, tea, and other snacks be purchased at the Urban Fare to thank them for the use of their space. 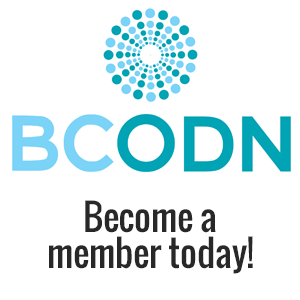 Bethan Theunissen, our VP, Membership and Community Engagement will start the group, and use liberating structures to determine from participants how best to meet the needs of those who attend. Bethan has spent much of her life bringing diverse people together to talk, listen, and support each other. She loves to teach and train, coach, and facilitate, and currently does that through FairSway Leadership Training and Facilitation. Bethan has a PhD in Leadership and Organizational Consulting from the University of San Diego.